Can I Amend My Taxes if I Didn't Claim a Child for the Extra Income Credit? You can amend your tax return for any reason, including if you forgot to claim one of your children on the earned income credit. However, there is a time limit; you must file an amended return within three years of the due date for originally filing your tax return. For example, because your 2013 tax return was due April 15, 2014, you must file an amended return before April 15, 2017. When you file your amended return, you need to complete the earned income tax credit worksheet for the tax year you're amending. These are available on the IRS website (see resources). 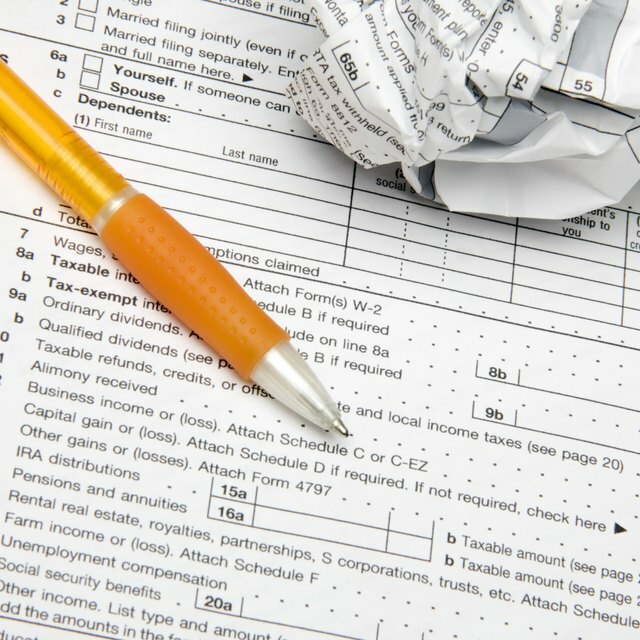 Then, complete Form 1040X to amend your return. You report the corrected amount of your earned income credit on line 13 of Form 1040X. The amount you originally claimed, if any, goes in column A, the increase in the credit goes in column B and the correct amount goes in column C. After you've mailed in your Form 1040X, you can check the status of your amended return with the IRS's "Where's My Amended Return?" tool. Typically, your return will show up in the system about three weeks after you submit it. You are not allowed to e-file an amended return.